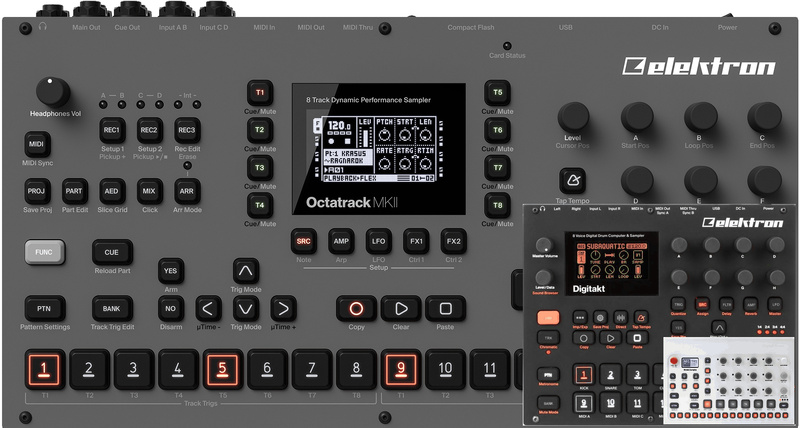 This is basically why Elektron stays in business. IMO although they have certain things in common (especially the sample thing, obviously) these are very different tools for different purposes. I like the DT as a drum sampler counterpart to my original MD (never did get a UW). But the lack of stereo and my urge for working with some longer material, capturing loops from the modular, etc. has driven me back into the OT’s arms as well. Very different tools. Every Elektron instrument is a deep and complex tool that rewards an investment of time. Mastering any of these is still easier than mastering the trumpet.